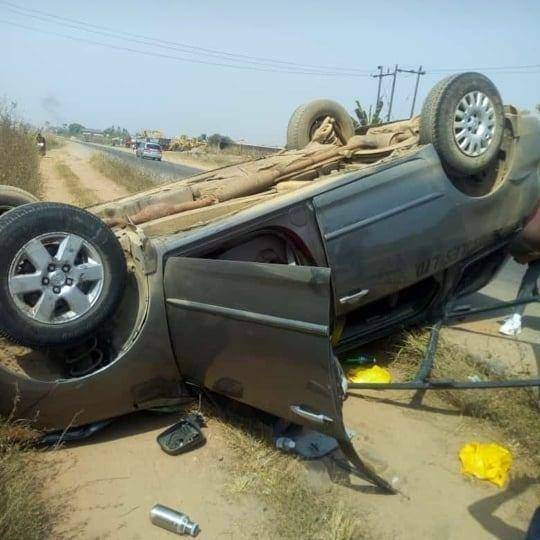 .Six Benson Idahosa University students escaped death on Sunday, 6th January, 2019, while returning to school after the Christmas holiday. Instagram user @queen_soaly who shared photos from the scene of the incident, disclosed that she was on the phone with her father when the accident occurred. There was no death recorded, and no one sustained any terrible injury. She further thanked God for safety.